The IPL season is just around the corner, and there already is a buzz about the team composition for each side, and who are the favourites going into the tournament. Its been 11 years since the inception of the Indian Premier League, but it has never lost its sheen over the years, in fact, it has gotten only better with each passing year. It will be no different this year too when the tournament begins its 12th season in the coming summer. We all know that this year's IPL will commence amidst a packed calendar in international cricket which includes ICC Cricket World Cup, set to happen in England and Wales. So the BCCI has decided to prepone the IPL from its usual slot of April to March so as to give enough rest for the World Cup-bound players before the marquee event. The reason for the success of the IPL, and its superiority over the other leagues is its longevity and seldom does the audience gets bored of the tournament. This is because of the presence of stars from all over the globe. We will look at the match-winners from each side who can make a difference. Rishabh Pant has been consistent for India. Rishabh Pant has already created quite an impact in his short career and even has an outside chance to represent India at the World Cup after being a regular across formats for India. 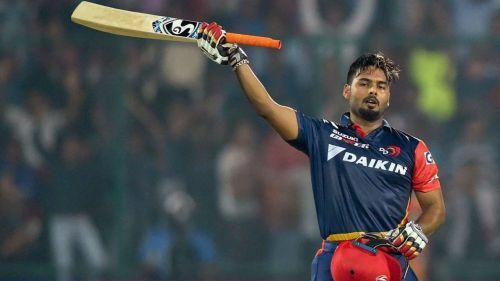 Pant was the Emerging Player of the Tournament last season where he ended up as the 2nd highest run-getter with a tally of 684 runs, with just Kane Williamson scoring more runs than him. He was the sole contributor on a regular basis for the Delhi Capitals last time around. But this time, there are plenty of Indian players supporting him in the middle order and a collective team performance can earn Delhi their first ever IPL title. For that to happen, Pant needs to come good.